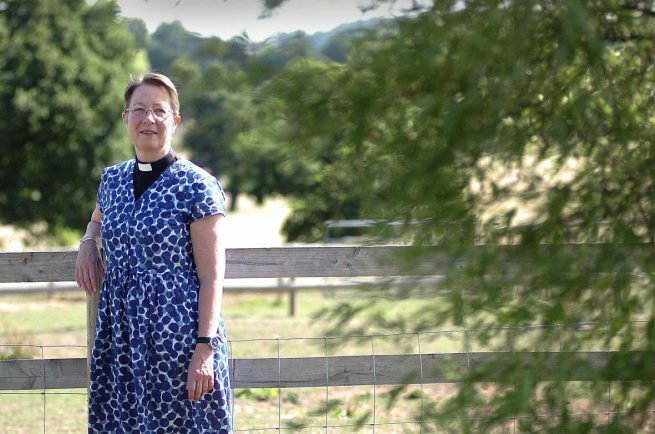 STUDLEY and the Arden Marches of Parishes have a new vicar – and she’s rolling out the welcome mat. Kate Mier arrives two years after the previous vicar, Rev David Silvester, stepped down from the post. However the Rev Mier is determined to join in the life of local villages and to throw the door open to the wider community and beyond. “It’s about being a Christian presence, by being out and about in the community and offering hospitality and welcome,” she said. A Warwickshire woman – she grew up in Kenilworth – the Rev Mier worked as a chemist before getting a sense of vocation in the 1980s. She was ordained in 1996 and held a number of posts, including vicar at the nearby parish of Wellsbourne and Walton. Last year she took a gap year at the Christian centre of Scargill House in Yorkshire. “It was to discover how we do Christian community well – how at a time when there is a lot of hate in the world – and given all of our differences – we can live together and offer hospitality,” she said. “When I applied to the Arden Marches they wanted to offer an open door to God, an open door to a new vicar, and an open door to the wider community. True to her word she is inviting everyone to join her for refreshments, whether churchgoers or not, after she leads the service for the first time at St Mary’s in Studley on Sunday, September 2. “The service is at 10am and at 11.15am there will be refreshments and it would be nice if people from the wider community joined us,” she said. A similar welcome has been extended to the residents of Mappleborough Green when the Rev Mier holds her first service at the Church of the Holy Ascension on September 9. “We are much better at bearing grudges than letting go,” she said.